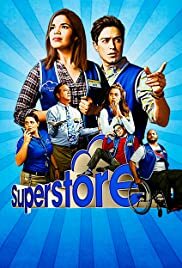 The staff comes down with food poisoning; Jonah documents the day with home video; Glenn's disposition changes; Mateo and Cheyenne discover a lucrative Black Friday side business. Things don't go as planned on Cheyenne and Bo's wedding day. Amy and Jonah dodge relationship rumors. Glenn learns of upcoming layoffs. Dina talks her way into the wedding party. 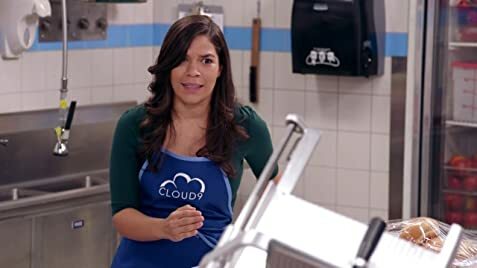 How many episodes of Superstore have you seen? If you haven't watched this show yet, please give it a try! They are into season four now and it is as funny if not more so than season one. Superstore delivers everything I could hope for. It has relatable, well-developed characters that you care about. The storylines are very strong and well-thought-out (there are some excellent writers working on this little gem). To top it all off, this show is absolutely hilarious. I have had a blast watching it and I hope that it makes you smile and laugh as much as it does me.